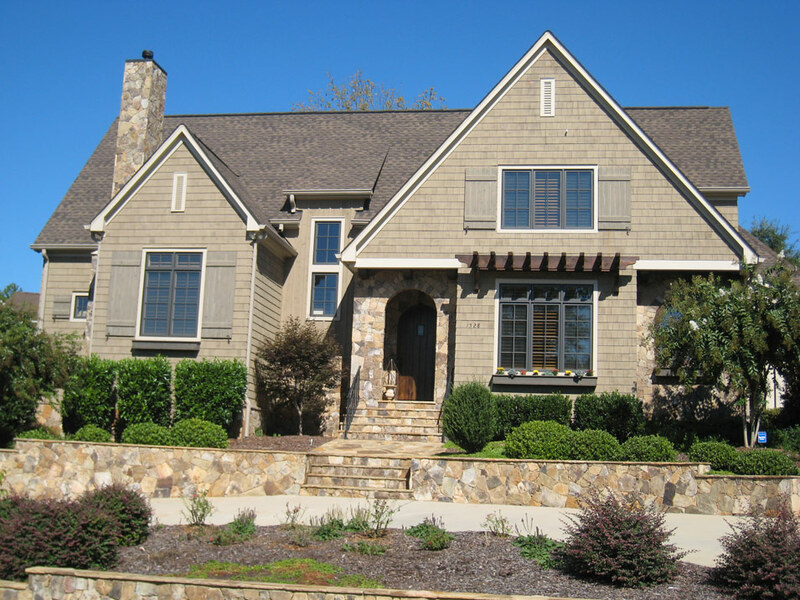 This Craftsman period bungalow features Tennessee fieldstone and cedar shake siding, along with some board and batten details to round out the authenticity. 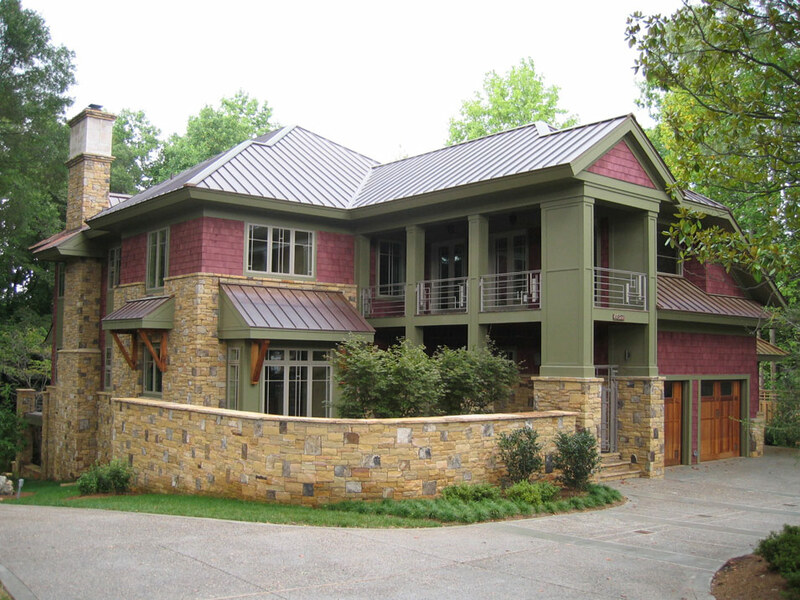 This Prairie influenced home contains highly detailed design work from the copper roof to the custom designs on the window mullions, railings and overhangs. This English Cottage design was enlarged to accommodate a growing family while making every effort to retain some of the historically accurate elements. With empty nesters in mind, this home has most of the rooms on the first floor and borrows features from English Country homes to Cape Cod details. 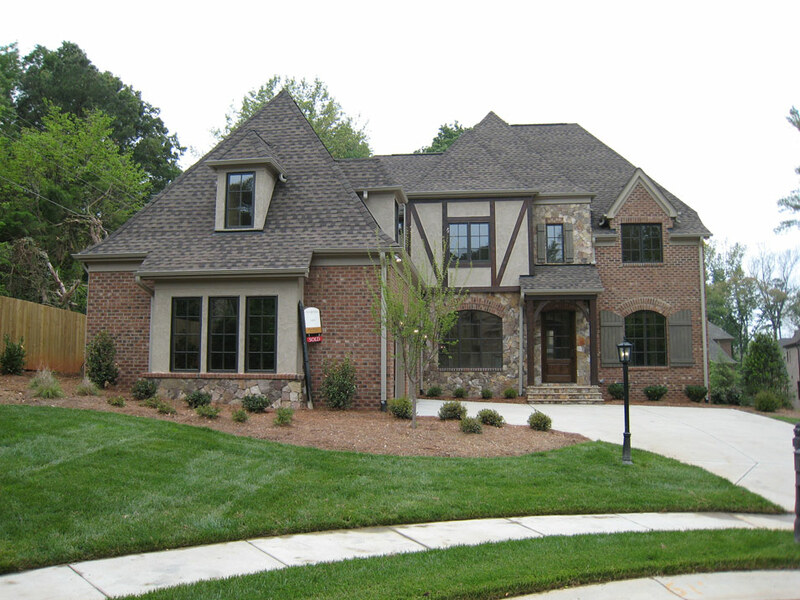 Blending English and other European country influences resulted in a home with a welcoming front porch and a turret wrapped staircase. This tear down was able to maintain an appropriate scale to fit in with the neighbors. 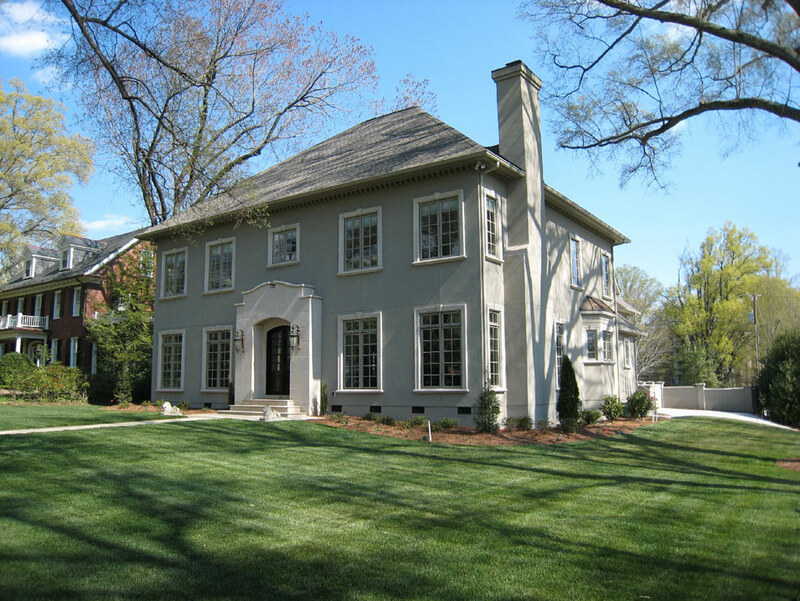 The front entry details and all the window trim are Indiana limestone. 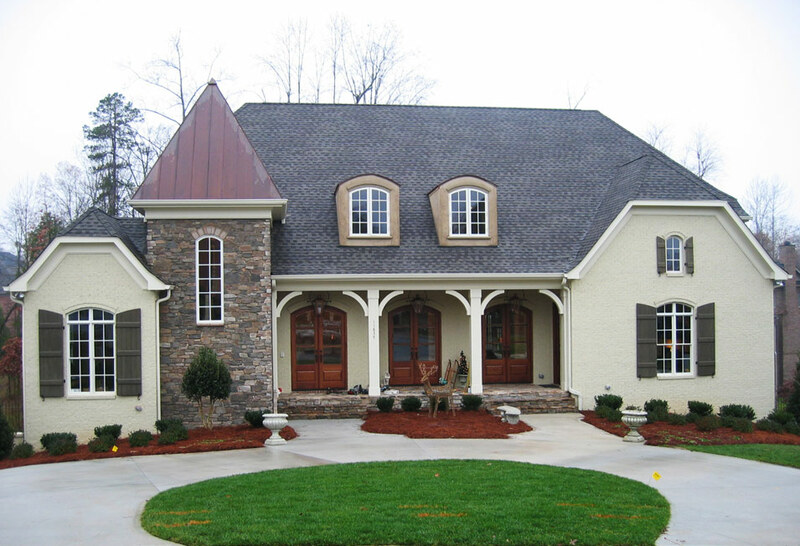 It is always difficult to find an appealing look when using numerous exterior materials. This house combines stucco, brick and stone in a complementary manner. 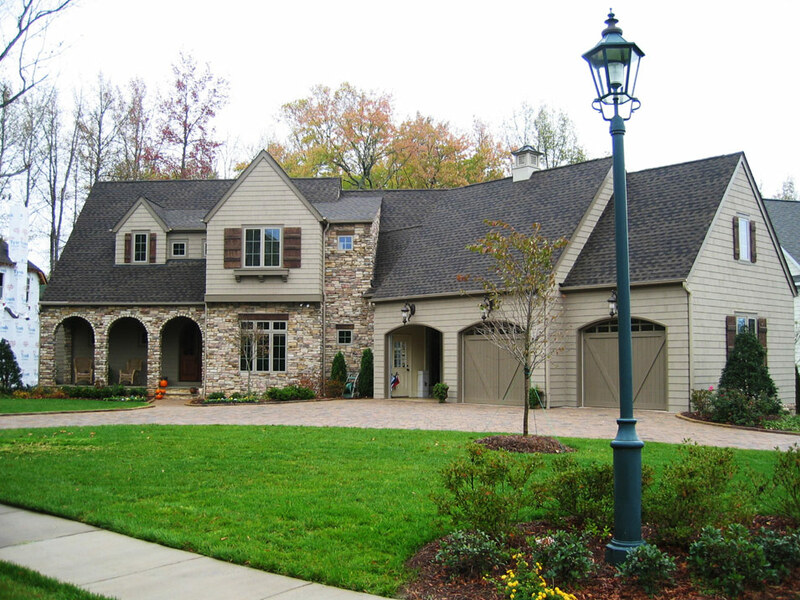 Like most of our work, these houses don’t always fit a specific architectural style because they were designed for their unique site and individual owner’s tastes. 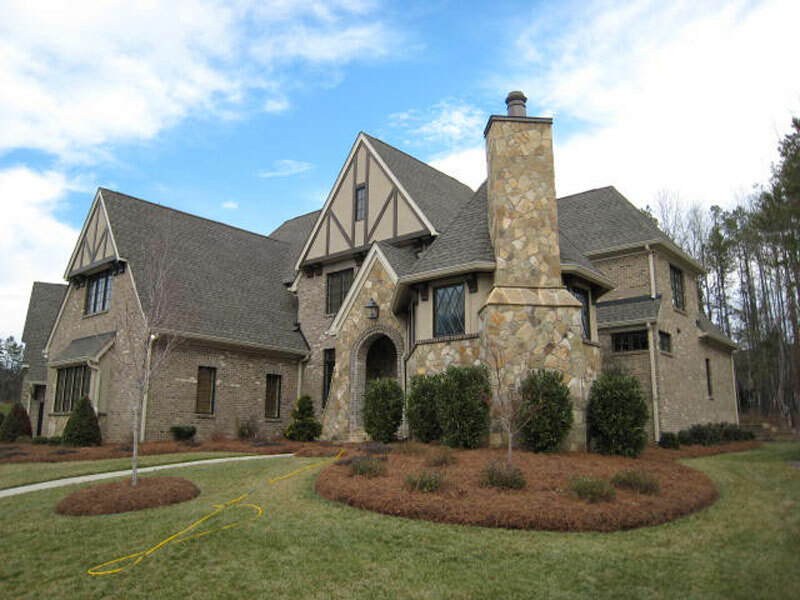 From the unjointed, colored mortar to the corbels, mullions and overhangs, this residence (and detached guest house) brings back the feeling of an old English carriage home.